This Ukulele is SOLD!!! Double pickups. 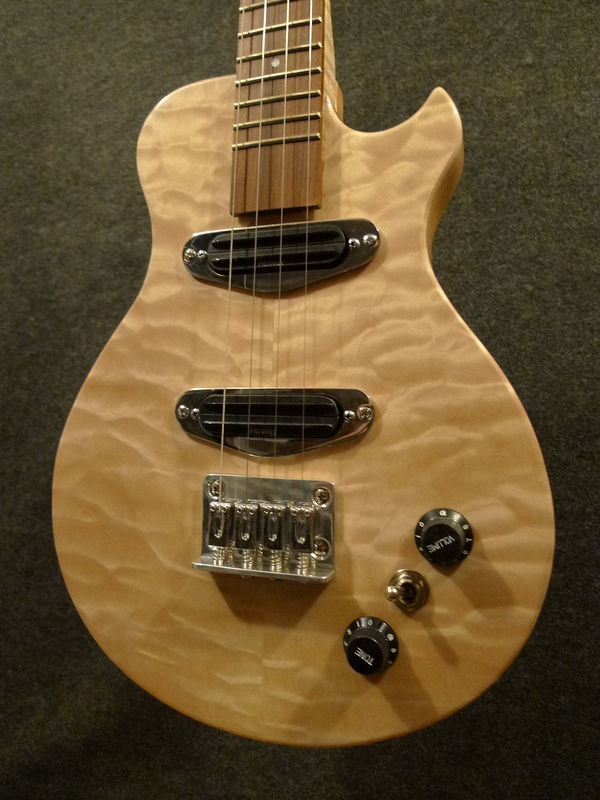 •This is a New Model 22.75″ long scale Quilted Maple Baritone with a gloss lacquer finish. 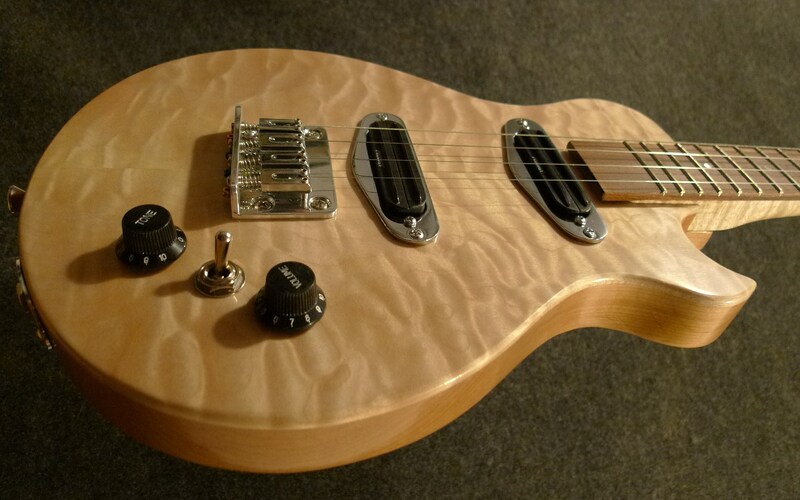 • Tuned in DGBE It can also be tuned as a tenor guitar or Octave mandolin. 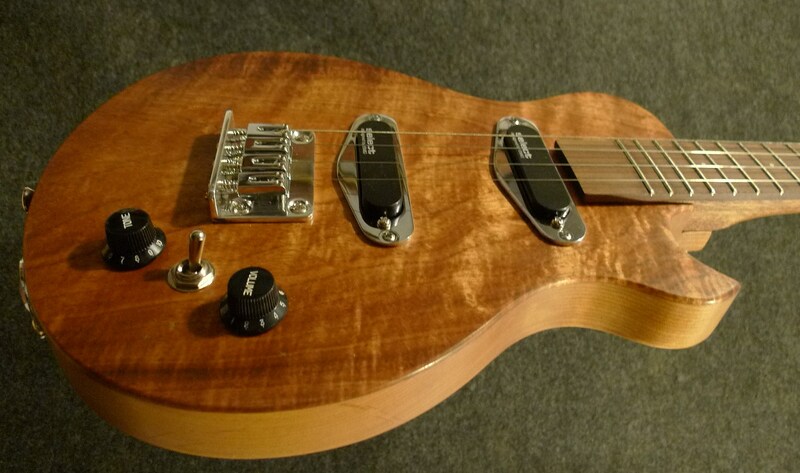 • Solid body Steel string Electric Baritone ukulele. 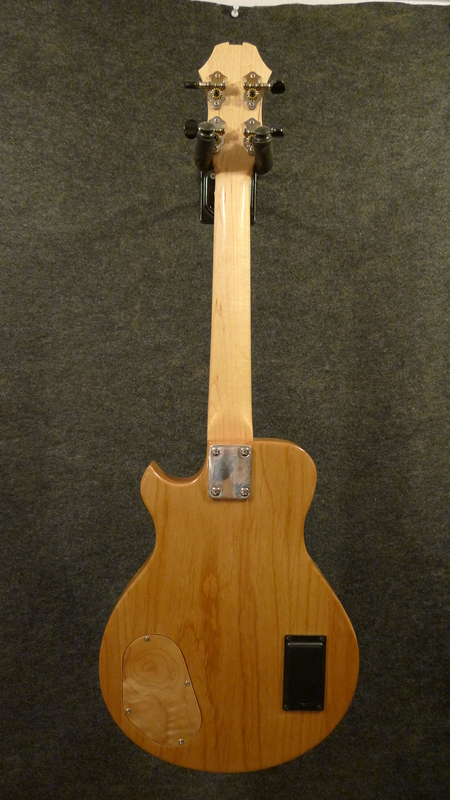 • Maple neck with a 2 way adjustable truss rod. 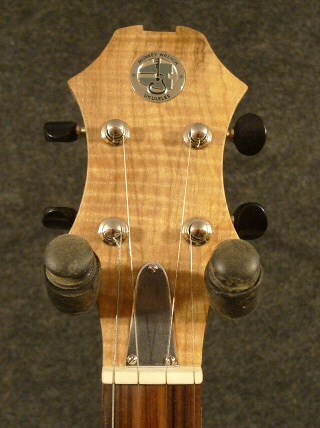 • Closed backed geared tuners, and Strap buttons. 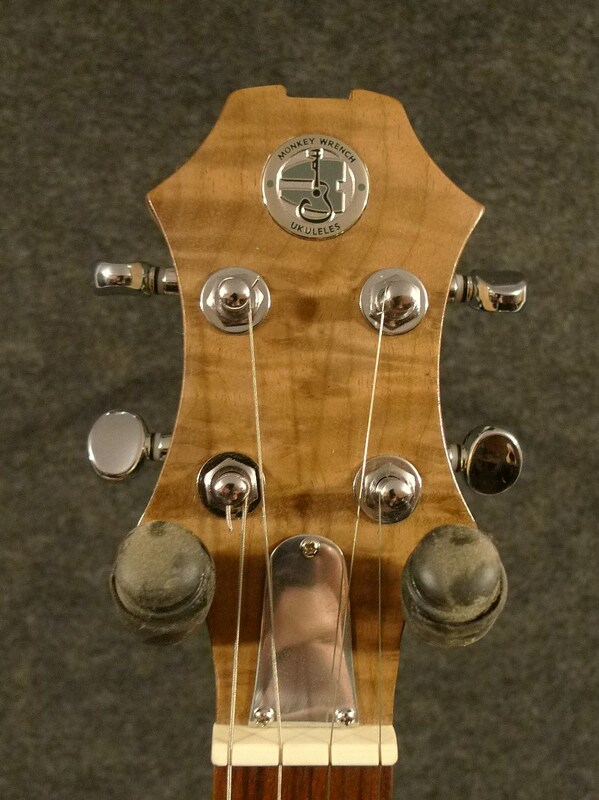 True ukulele string spacing, bone nut. If you would like to order a ukulele or get on the list for the next available one , or ask any questions you may have please contact me. 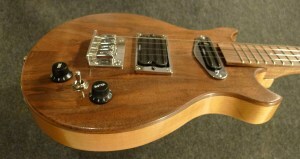 Check out Monkey Wrench Music Facebook Page for pictures of other ukuleles. 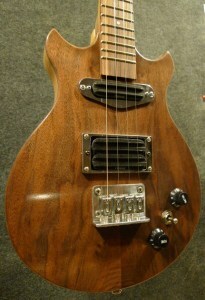 www.facebook.com/pages/Monkey-Wrench-Music/361812336269? 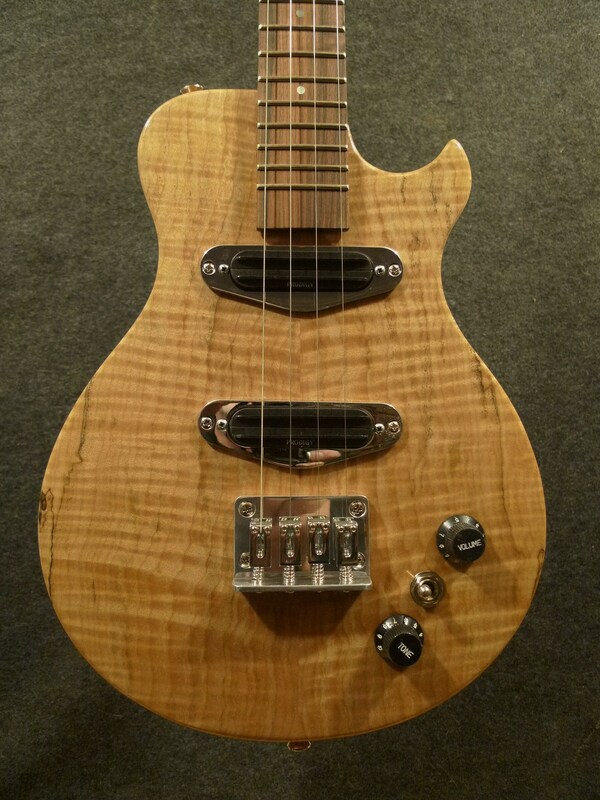 This Ukulele is Sold 11/13/15 Double pickups. 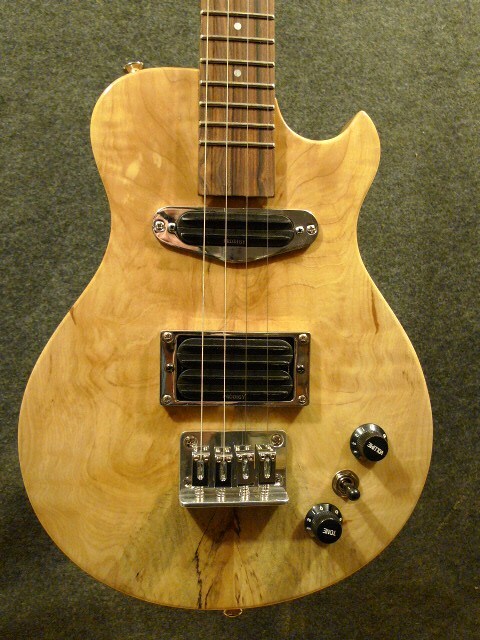 •This is a New Model 22.75″ long scale Figured Spalted Maple Baritone with a gloss lacquer finish. 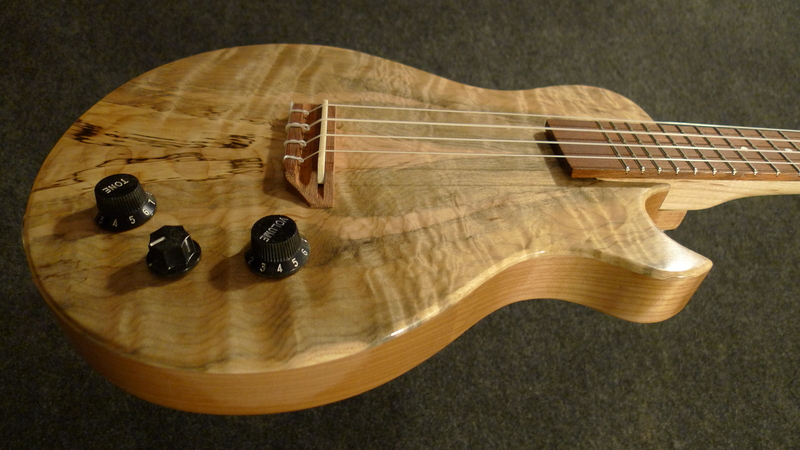 This ukulele is SOLD! $725.00 . 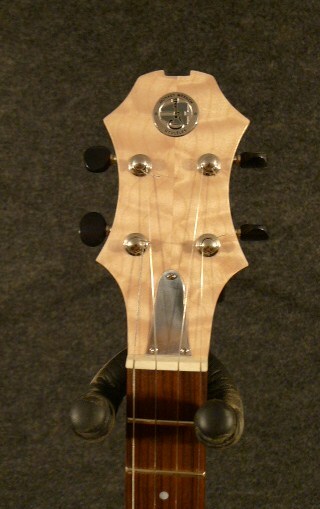 •This is a Black Walnut Tenor with a gloss lacquer finish. 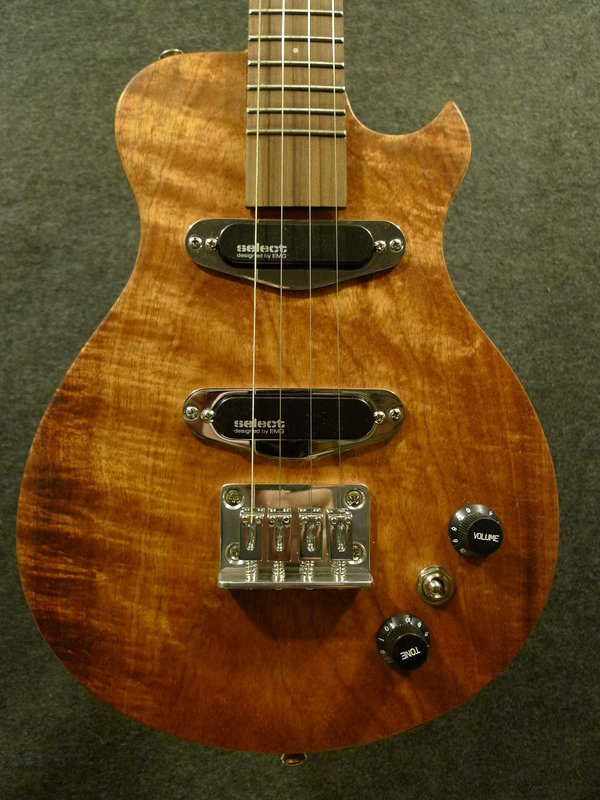 This ukulele has a vol & tone control Switch Neck/both/bridge. 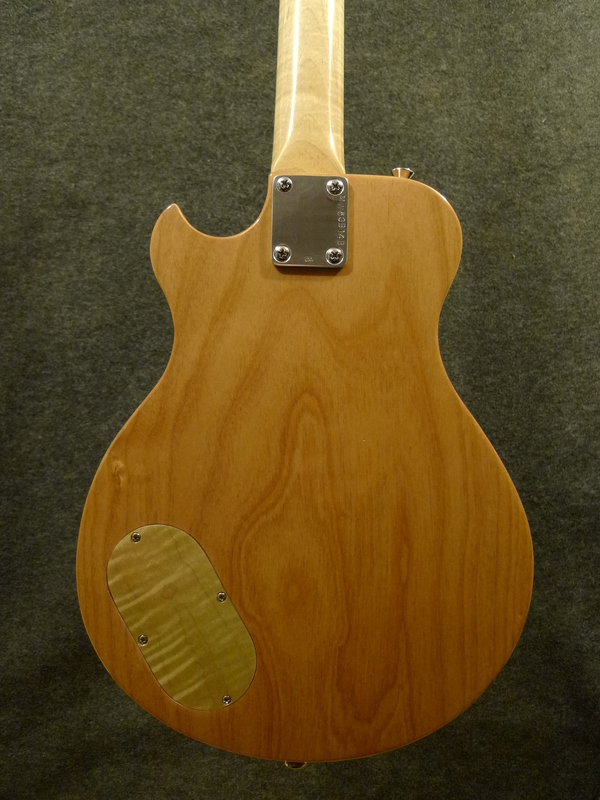 • Walnut neck with a Two-Way adjustable truss rod . 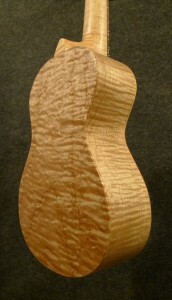 If you would like to order a custom ukulele or get on the list for the next available one please contact me. 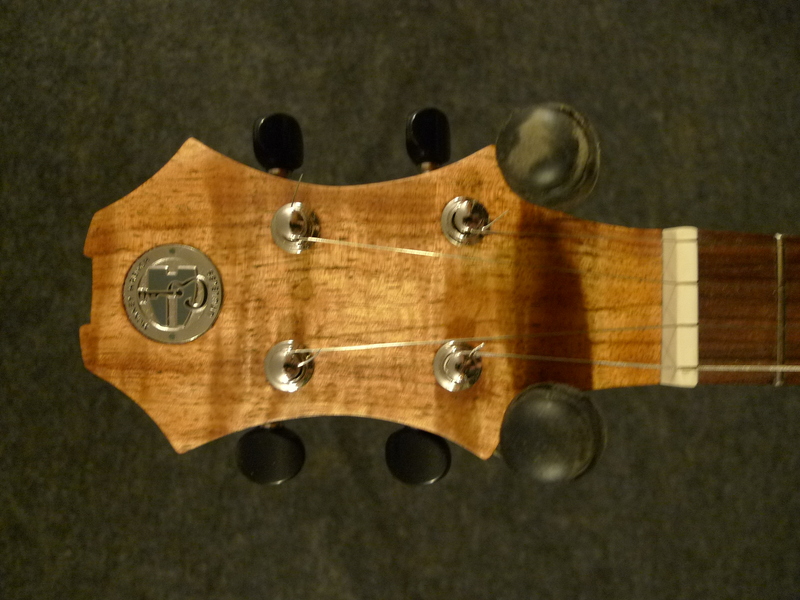 Check out the blog page or Facebook Page for pictures of other ukuleles. 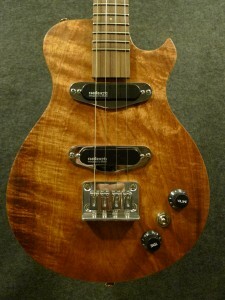 This Ukulele is (Sold $875.00) Double pickups. 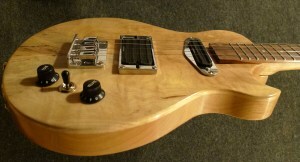 This instrument plays and sounds great! 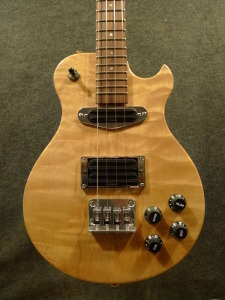 If you are looking Baritone ukulele with electric guitar sound this is the instrument. 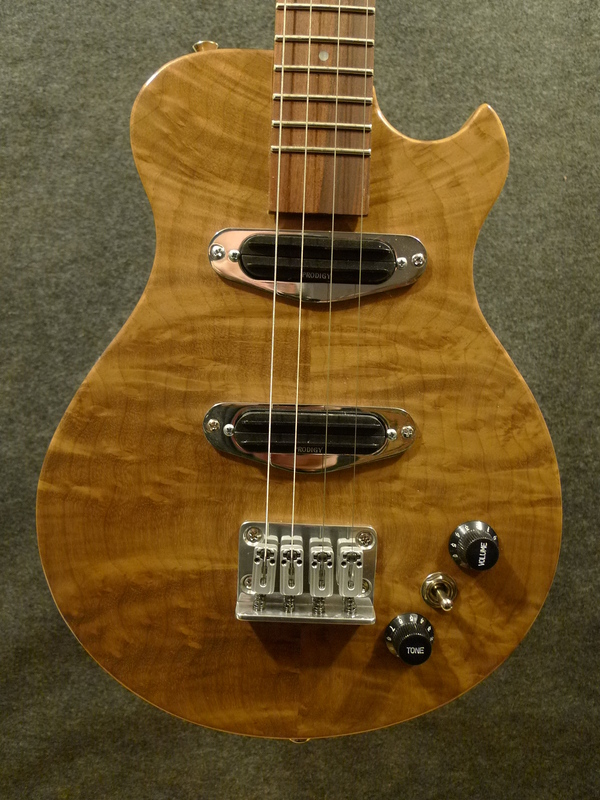 •This is a New Model 22.75″ long scale Figured Myrtle wood Baritone with a gloss lacquer finish. • Closed backed geared tuners. • Prodigy Hot Humbucker dual blade pickups . If you would like to order a ukulele, Get more pictures of this one, or get on the list for the next available one please contact me. 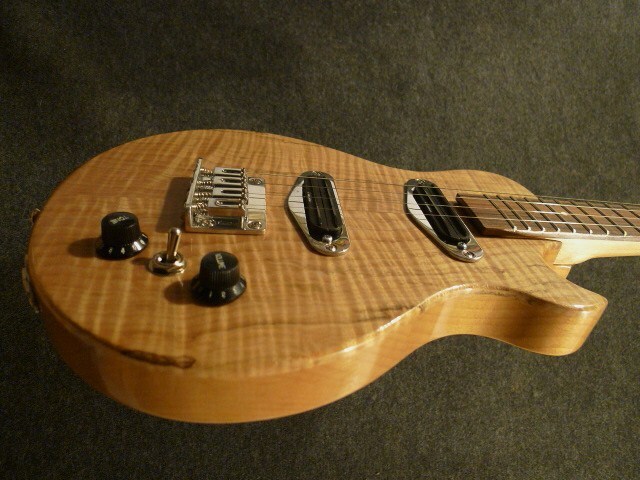 @ monkeywrenchukes@gmail.com Check out the blog page for pictures of other ukuleles. 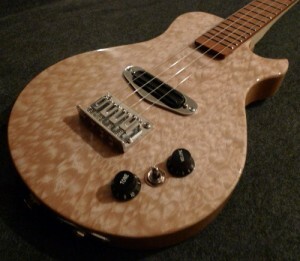 This is a great sounding ukulele and great looking one of kind ukulele. 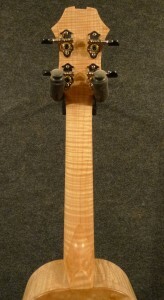 Carbon fiber fixed truss rod. 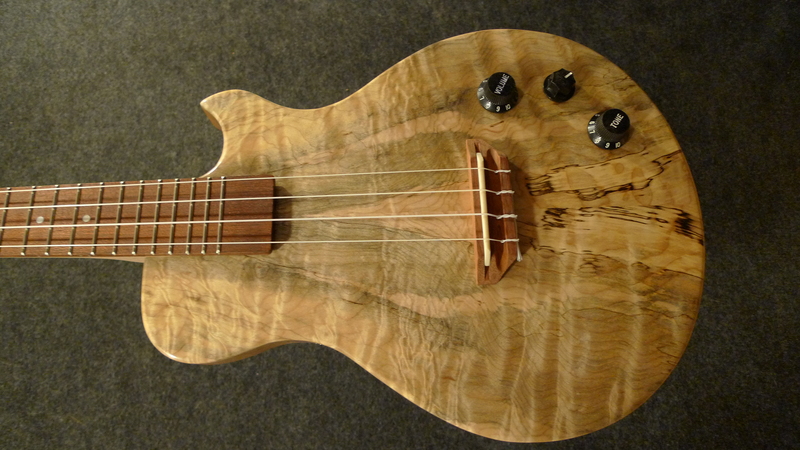 Long Scale Tenor Electric Ukulele. 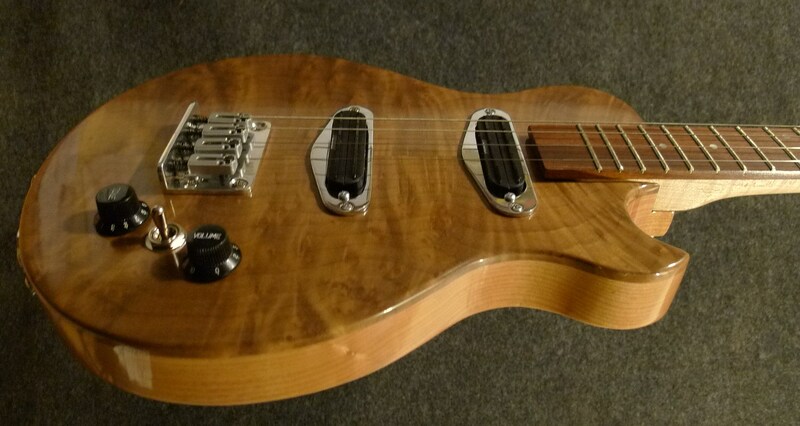 This ukulele is Sold! You can order one. If you are looking for a more electric guitar sound this is the instrument. • Solid Alder Hardwood Body with 1/4″ solid Quilted Maple top. 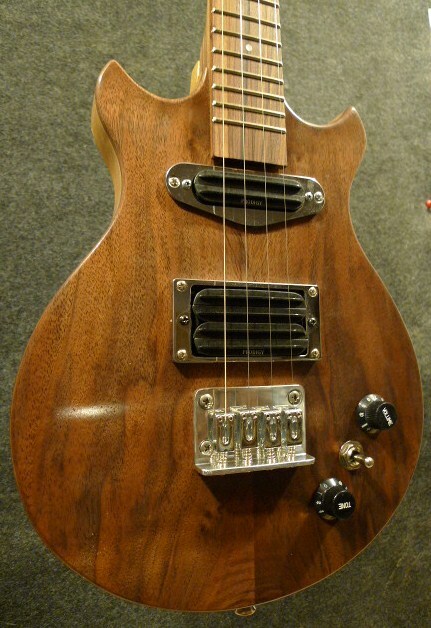 • Jatoba fretboard with 20 frets. 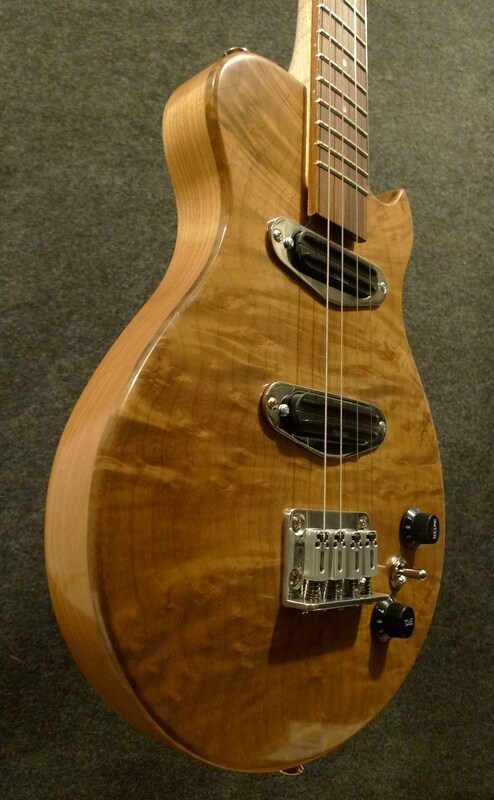 This is a Spalted Figured Maple Tenor with a gloss lacquer finish, tuned in GCEA high G .
Solid Alder Hardwood Body with 1/4′ solid Hardwood top. 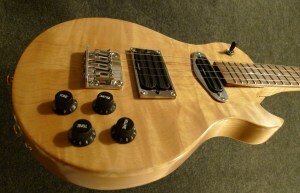 Preamp has interior adjustments which enables you to customize the sound . If you have any questions, or would like to see more pictures, please contact us.